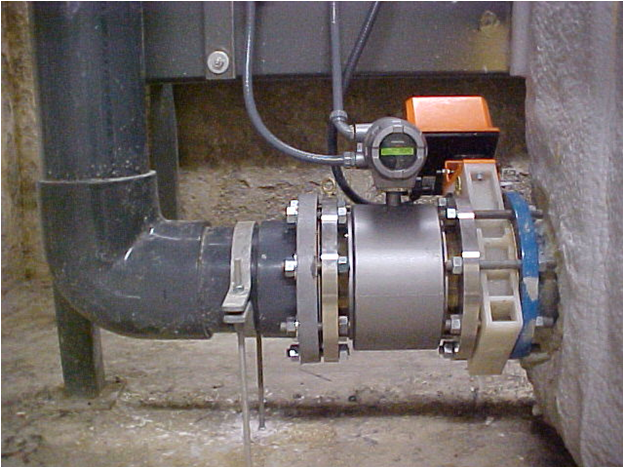 Magnetic flow meters are great instruments but most have their limitations. 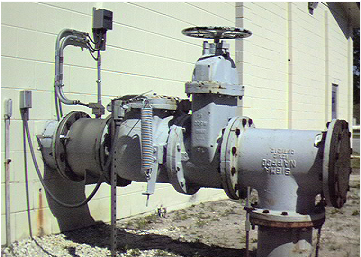 Too often inferior meters are placed in situations where they cannot provide accurate measurement. 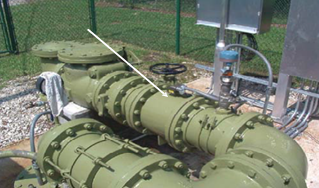 Straight run of pipe in and out of standard magnetic flow meters is crucial for accuracy. Not so with the Toshiba LF series. The Mount-Anywhere installations shown here saved customers thousands of dollars in additional land, wiring, fence, labor, pipe, conduit, etc compared to a standard install with 5 pipe diameters of straight run upstream and 3 diameters downstream. The Mount-Anywhere™ magmeter is the world’s only true flow profile immune mag meter. There is no need to re-pipe the process or to design long straight runs ahead of time to ensure the mag meter will meet its published accuracy specification. The Mount-Anywhere™ mag meter is ideal for use as a universal mag meter being the only model you will ever need with its ability to be installed anywhere it will fit in the line.